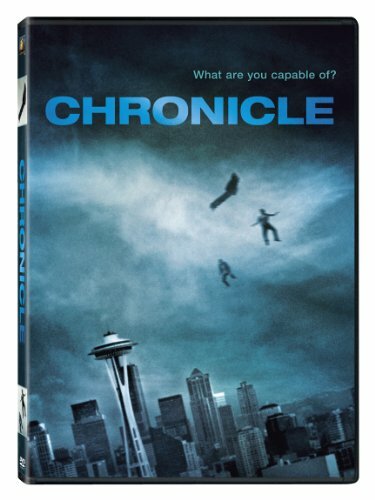 Buy Chronicle cheaply from Amazon, or read more articles on film and television. You too can earn money from writing articles by signing up for InfoBarrel. "Not all heroes are super." Chronicle is a film about three high school teenagers, Andrew Detmer (Dane DeHaan, The Amazing Spider-Man 2), Matt Garetty (Alex Russell) and Steve Montgomery (Michael B. Jordan, Fantastic Four), and their acquisition of "superpowers" and the consequences of this. This isn't your typical superhero film though. Instead, it looks at the possible negative side of suddenly gaining powers well beyond the norm. We are initially introduced to Andrew, a loner with no real friends, a dying mother and a drunken father with a tendency to beat him. Andrew has decided to film his entire life, and the film is shown through the viewpoint of one camera or another, usually Andrew's, but also other cameras, mobiles, security cameras and the dashboard cameras in some police cars. Credit: http://en.wikipedia.org/wiki/File:Chronicle_Film_Poster.jpgMatt is his cousin, who takes him to school everyday, and seems to be mostly tolerating Andrew, at least initially, out of a sense of family. Steve is a popular, charismatic teenager running for school president, who only has regular contact with the other two after the three of them gain their powers, which happens when they enter a hole in the ground and discover a strange crystal at the bottom. Most of the film covers them experimenting with their powers, which seem to be a form of telekinesis, and discovering what they can do with them. They do not do anything constructive with their powers, no "fighting crime," instead using them for pranks and having fun. For one brief moment, Andrew actually gains a measure of popularity at the school, through his usage of his abilities in a talent show, but this is only brief, and when lost, results in Andrew becoming even more withdrawn, gradually deteriorating until the final result is most of the climactic violence from the trailer. The entire film is seen through one camera or another, which can get tiresome in some films. It is handled slightly differently from, for example, Cloverfield, which was just seen through one camera, often jerkily, and we rarely saw the person doing the filming. Andrew's abilities quickly enable him to hold the camera in the air, allowing him, or the others, to be on camera at the same time as the filming is being done, resulting in no-one being constantly off camera. He is also able to hold the camera steady, so there's none of the jerking you usually get in films that use the "found footage" device. There isn't as much action in the film as there would appear to be from watching the trailer. The film takes a long time to get to the action, violence and destruction, which only represents about the last twenty minutes or so of the film. The film therefore seems much slower than expected from the trailer. Chronicle is not a bad film, but not a great one, although a different and possibly more likely result of what would happen if someone gained super human abilities, rather than having the desire to wear a colourful costume and swing around from buildings doing good. Nice review. The creators of this film must be huge "fans" of the classic japanese anime Akira, which basically has the same premise. Haven't seen Akira, but it wouldn't be the first time Hollywood has scavenged Japan for storylines, although horror seems to be a more common genre.